Where quality is our goal and performance is our trade. Sharp's Has always specialized in muscle cars, and this is still true today. Are you searching for an OEM and Aftermarket Auto Parts Store in Grand Ledge, Michigan? Head over to the Sharp's Supply in Mulliken, Michigan. Our auto parts store in Mulliken has all the OEM parts and accessories that you need for your new/used car or truck. We stock a complete inventory of parts ranging from windshield wipers, brake pads, rotors, and hard-to-find parts for your car or truck. If we do not have the particular part or accessory in-stock that you are searching for, we will order it right away. Call us and see why we are known nationwide in the gear head world. Sharp's Supply has the unique ability to shop two of the biggest OEM and aftermarket parts supply houses in the nation. We can always find what you need for a good price and quick delivery. 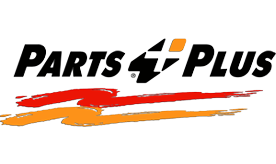 Our Auto Parts Store just outside of Grand ledge Michigan, offers everything you expect from all of the other dealers, large and small. The only difference is our personalized and caring level of service. Just give us a call or stop in, we can help you with your every need. You can read more about the Worry Free Guarantee by clicking below. Looking for Quality Auto Parts in Mulliken Michigan? Our Auto Value Parts Store is a part of the Aftermarket Auto Parts Alliance, one of the largest auto parts distribution networks in the world. Auto Value delivers over 1.9 million quality replacement auto parts and accessories each year. Want to see if we have the part you're looking for? Just call or stop in.